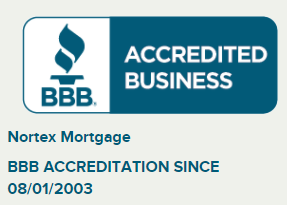 At Nortex Mortgage, we deliver conventional loans with the most competitive rates in the area. Our mortgage professionals have served borrowers in Plano, McKinney, Frisco, and surrounding Texas for more than 20 years. Conventional loans are one of the most popular mortgage options for clients here and nationally because they have great rates and are highly adaptable to a client’s unique needs. When you’re ready to learn more about conventional mortgages, contact our loan professionals with any questions you have or to get a free quote. Conventional mortgages are so called because they are fully funded and insured through private lenders or banks. That is, they are not at all backed through the government. Nonconventional loans, conversely, are backed through federal departments like the Federal Housing Administration or the U.S. Department of Agriculture. While nonconventional loans are a great option for clients who may be struggling to get approval for a mortgage, conventional loans offer some unbeatable benefits. If you wish to purchase a high-cost home that exceeds the conforming limits, you’ll need a nonconforming loan. Also known as “jumbo loans,” nonconforming loans are still a type of conventional loan, just a more expensive one. Jumbo loans typically have slightly higher interest rates and require a slightly higher down payment than conforming loans. Even despite this, the Nortex Mortgage professionals can find the most competitive rates in our area and help our clients fund the homes they love. Conventional loans provide some of the best interest rates available in the mortgage market. They do require that clients are in good financial standing. To obtain this type of loan, you should have at least good credit, be prepared to make a down payment of at least 10% to 20%, have a minimal debt-to-income ratio, and proof of steady income. If you are concerned that you may not be able to qualify for a conventional loan, our mortgage professionals can help you explore nonconventional funding as well. If you’re considering home financing in Plano, McKinney, or Frisco, Texas, we’d love to have the chance to help you. Our mortgage professionals have the long-term experience you deserve and the knowledge you need to narrow down the right loan choices for you. Contact us to get started today.